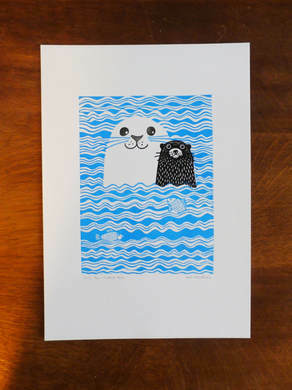 Kat is a linocut printmaker living and working in rural Northamptonshire. 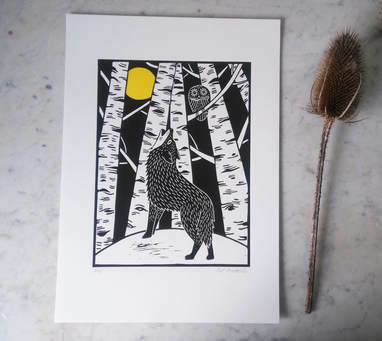 Her linocuts combine her love of nature, architecture and storytelling. Born and raised in the czech republic, she is inspired by the imagery from her childhood. When she is not working in her home studio, she loves to go on adventures with her two daughters and her beloved spot, the whippet. Kat is going to show you some of the secret techniques which she discovered over the lasts few years creating her bold and colourful linocuts. You will be shown how to simply achieve bringing a bit of colour into your linocut! Please don't forget a cover for the table!